Are you looking for a shear beam load cell that is Made in the USA? 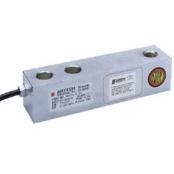 Look no further, you've found the Artech MODEL 30210 (THRU HOLE) load cell. A versatile Load Cell designed for multiple use in low profile and platform scales, and in tank, bin, and hopper weighing systems. Are you looking for a shear beam load cell that is Made in the USA? Look no further, you've found the Artech MODEL 30210 (THRU HOLE) load cell. A versatile Load Cell designed for multiple use in low profile and platform scales, and in tank, bin, and hopper weighing systems. The high alloy steel construction ensures durability and precision performance. The cell is environmentally protected with water resistant seal and is nickel / chrome plated to assure resistance against corrosion. Mounting plates are also available.